– Promote self-shared rehabilitation of earth buildings,through local inhabitants involvement and technical support from social and earth building professionals. – Social engagement and solidarity ways for a help network for people in a situation of precariousness. – Promote the use of eco-friendly, local and low impact construction materials and techniques, boosting local economy. This project spread out the previos one developed in Normandy by the frend association Enerterre. 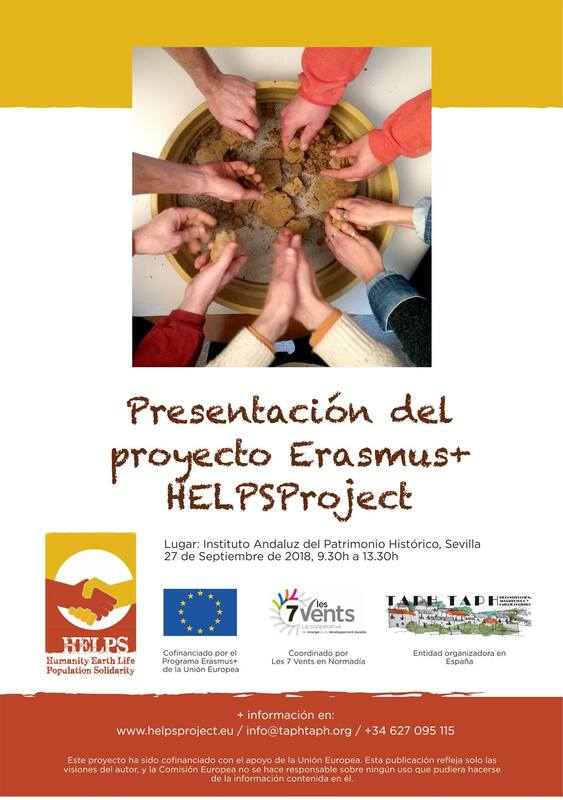 Since 2017, our association works developing the HELPSproject in Spain. To find out more, check the project website! 9.30h Bienvenida. Arturo Jiménez Viera, Asociación Taph Taph. Trinquelle y Claire Oiry. Mediterranean Centre of Environment, Grecia. 12.00h Conferencia sobre Patrimonio vernáculo en tierra, Personas en precariedad y Pobreza energética.